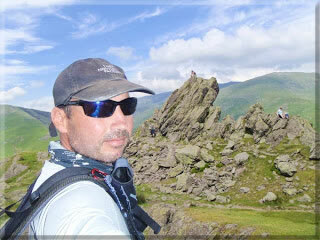 Hi, I'm Paul and in 2009, my passion for the coastline and mountains of the British Isles, compelled me to undertake the crossing of it's four nations by their respective coast to coast routes. A personal endeavour that will stretch my outdoor experience, physical and mental strength by adopting a solo and unsupported approach without re-supplying en-route. The final trip in my Four Nations Coast to Coast endeavour - Scotland, was successfully completed on 20th June 2013 taking 31 days and 17 minutes. Trip details and photos will follow soon, so please call back. All my hard work so far. 190 miles from Robin Hood's Bay to St. Bees. 275 miles from Cardiff to Conwy. 387 miles from Dublin to Bray Head. 330 miles from Peterhead to Ardnamurchan.